Did you do a Christmas homeschool study last year? Perhaps your calendar for December was full. As a result, you decided to put studies on the backburner until the new year. And that’s ok. You are a homeschooler after all. 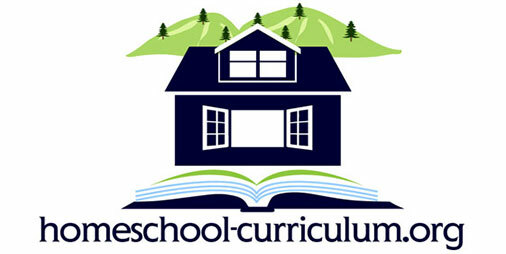 If there is anything homeschoolers have learned it’s that one size does not fit all. But, if you decide to sprinkle a little trivia and study into your festivities, consider doing a Christmas homeschool study (or any holiday study) of your own family traditions. It may help your kids understand WHY you continue your specific traditions. It may also help make those traditions more meaningful. Without adding a lot of additional work to your plate. I decided to create a Christmas homeschool study when I realized my children were in two different spectrums of belief. The magic of the north pole and the Santa Claus story had left the mind of my oldest. …not realizing mommy’s schedule is too full to start wrapping before the 14th. So, for us, our Christmas homeschool study easily became a unit study that started on the first Sunday of Advent. And will eventually end at Epiphany. Finding the origins of our own traditions brought a new meaning to being globally minded. It also made me become aware of what is truth or myth. With so much fake news around, I realized parents must be careful about researching information. I certainly wouldn’t want a Christmas homeschool study spreading falsehoods. There were a lot of traditions whose origins I included in the first draft of this article. However, I found they were legends (or lies) that had been passed on. One that I thought was cute was a soft drink company creating the image of Santa Claus. Although it was far from the truth, I can see how people would grab on to the story. So, I looked for ways to engage the kids. I mean, what kid wants to be schooled during a break? Then I realized they actually enjoy our seasonal traditions. What better way to engage them in a Christmas homeschool study than to practice those traditions? I began by asking them three questions. Can you imagine celebrating Mardi Gras – or any wild party – during Christmas? How about trying to imagine not celebrating Christmas at all? Even crazier, can you imagine being fined for celebrating Christmas? Once I explained that all three questions describe the history of Christmas, they were more than interested. 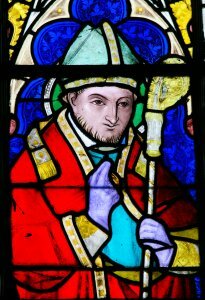 Especially learning that the icon we know as Santa Claus was based on a real person. Now, because there is so much history connected to our family traditions, we decided to focus on that. The thing is, there are so many different Christmas traditions. So much so that a one-month long unit study may not cover it all. At least, not if you are trying to enjoy the traditions at the same time. So, my goal was to make our Christmas homeschool study brief, informative and fun. Of course, after realizing Germany had Christmas traditions on LOCK, I began to think about a unit study on Germany. It may help us understand the traditions even better. In our home, we celebrate the Church seasons of the Western Church. So, our traditions follow along those seasons. First, we get the calendar ready. Next, we include all its surprises and treats. Then, we discuss Advent. Advent is the four-week period beginning the Sunday after Thanksgiving. It has been celebrated since 3 AD. Advent was originally a time for converts to Christianity to prepare for baptism. With this part, have fun creating the calendar and coming up with ideas for each day. There are a number of resources for DIY calendars as well. Of course, there are also online Advent calendars. Last year, we used the leftover gift buckets from my wedding reception (and there were a lot). We placed the corresponding numbers on them. Then added small pieces of paper with the Advent directions inside. Of course, there was a treat for the person pulling that day. The buckets were placed on top of my large, wooden cutting board. The board was then placed on top of the cabinet where the cats don’t go. Next, we have a quick discussion of the Advent calendar. The calendar begins on December 1. It is not the 1st Advent Sunday. The tradition started with German Protestants rubbing off chalk marks on doors to count the days until Christmas. 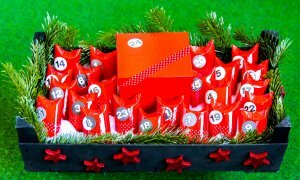 The first mass produced Advent calendars were made in 1908 by Gerhard Lang. For those families that don’t celebrate Advent, it can still be fun to create a countdown calendar (that include treats) for your Christmas homeschool study. The wreath and the star are usually placed outside at the entrance of the patio. 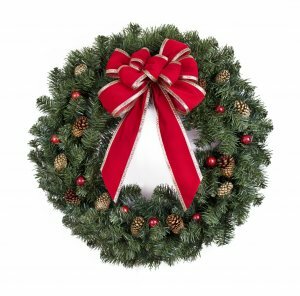 This part of the study begins with a discussion of the Advent/Christmas wreath. Another German custom connected to 16th century Lutherans. Made of evergreens to represent everlasting life through Jesus. In the shape of a circle to represent God with no beginning or end. 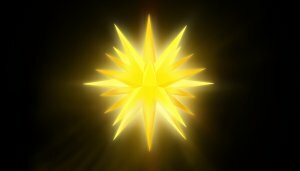 The following day, we move on to a discussion of the Moravian star. Once again, Germany holds the key here. The star originated in the 1830s at the Moravian Boys’ School in Niesky. It was most likely a geometry lesson or project. 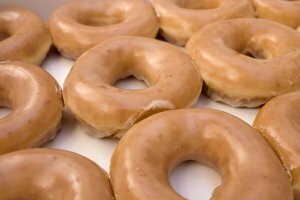 Make yeast doughnuts in honor of the North Carolina Moravian history lesson. Discuss how the star is a symmetrical shape. This part brings so much nostalgia for me. This is a Christmas homeschool study that I can get into. Not just the kids. And it’s not just because of the doughnuts. Growing up in North Carolina, I always participated in a Moravian Candle Tea service. The carols, the lights, the services for kids and the yummy goodies were traditions that made the season come alive for me. This part of Christmas prep is one of my children’s favorites. They like to help put up the tree. So, to keep from squashing their enthusiasm, I decided we would put the tree up first. Afterward, we could discuss it. Usually the next day. Once we assemble our artificial tree, we rest and continue with our Christmas homeschool study. That’s when we discuss the history of the Christmas tree. Although the festival tree has been around far longer, we (again) credit Germany with starting the Christmas tree tradition in the 16th century. Devout Christians brought decorated trees into their homes. The first record of one being displayed in America was in the 1830s by German settlers of Pennsylvania. 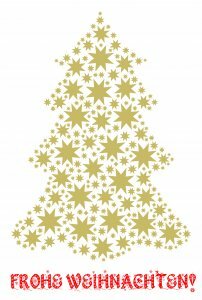 Originally, most Americans saw Christmas trees as pagan symbols and did not accept it. 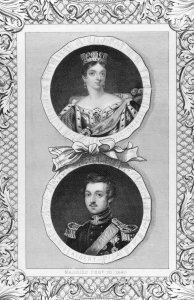 In 1848, because of Britain’s Queen Victoria and her German husband, Prince Albert (the fashionable and popular royals), America accepted the Christmas tree. 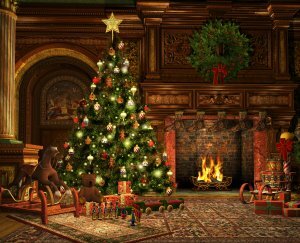 If people couldn’t afford a real plant, they made pyramids of woods and decorated them to look like a tree with paper, apples, and candles. Then, we look at pictures of Christmas trees (or the equivalent) of the world. Because a natural pine is a luxury, the typical “arbolito” (small tree) is either artificial, the bare branch from a copal tree or a shrub from the countryside. the Norway spruce traditionally decorates homes in Britain. trees are imported as no tree lives that far north. the tree is an ornament for the Nativity scene as a result of the growing German population there. although the tree is bought before Christmas Eve, it is not common to take it inside for decorating until a few days before. Norwegians often take trips to the woods to choose a tree. On Christmas Eve, it is decorated, usually by parents behind closed doors. Then, everyone joins hands and walks around the tree singing carols. This is known as “circling the Christmas tree”. Afterward, gifts are given. during the Christmas season, fir trees are decorated. those that celebrate fill a tree trunk with goodies. Children hit at it trying to knock out the hazelnuts, almonds, toffee and other treats. This custom is called Catalonia. Decorated with colored paper, colored pennants and pine cones, the nativity scene (or manger scene) is the center of a pyramid structure. The shelves above have gifts of fruit, candy, and presents. many Christmas traditions practiced around the world today started here. The Tannenbaum (Christmas tree) is traditionally decorated in secret. It is revealed on Christmas Eve with cookies, nuts, and gifts underneath. Here, they place trees inconspicuously as they must celebrate Christmas in private. fresh pine trees are often too expensive for many so they use artificial trees. not many celebrate Christmas. Of those who do, they erect artificial trees. They call them “trees of light”. I also thought it would be fun to create a game and have a little Christmas tree trivia. Christmas trees generally take 6-8 years to mature? Thomas Edison’s assistants (associates) came up with the idea of electric lights for Christmas trees? Teddy Roosevelt (the 26th POTUS) banned the Christmas tree from the White House for environmental reasons? In the first week, a live tree in your home will consume as much as a quart of water per day? 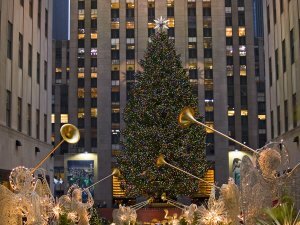 California, Oregon, Michigan, Washington, Wisconsin, Pennsylvania, and North Carolina are the top Christmas tree producing states? Originally, Europeans used small trees while Americans liked their trees from floor to ceiling? Then we rest for a couple days. Well…one day. Give the Christmas homeschool study lessons a pause. Give the traditions and prep a pause. The next day is for our decoration and ornament discussion. Afterward, we set up. We start with a discussion of the history of Christmas ornaments. We also talk about the history of the ornaments we use on our own tree. Americans decorated their trees with homemade ornaments. German-Americans continued the tradition of using apples, nuts and marzipan cookies. The traditional ornament colors are pine green, snow white, and heart red. There is a legend of Saint Nicholas slipping gold into Christmas stockings. Decorations are traditionally removed on Twelfth Night or Candlemas. In England, it was customary to burn the decorations in the hearth. Our own ornaments are heirlooms or reminders of our travels. Although we haven’t used them on our tree since the kids were born, we still discuss glass ornaments. I hope to be able to make them ourselves…when they are older. First made in a German village called Lauscha. Originally produced to ward off economic ruin. The pine cone was one of the first designs. Fruits and berries were also among the earliest glass decorations. They replaced the fresh fruit decorations. By the 1880s American stores were buying ornaments – including F.W. Woolworth. Here is where we might go a bit overboard. During Christmas, our family doesn’t do very much hosting. We reserve that for the New Year. We do like to serve a traditional meal, however. Because our family represents several ethnicities, our traditional meal sides can get somewhat eclectic. Normally, there is a turkey or ham. A pie, or two. Mashed potatoes, eggnog, and of course Christmas cookies. Our sides can get quite ethnic. There may be pierogies, collards, flan, or even baklava. During this part of the Christmas homeschool study, we concentrate on aspects of cooking. Measuring. Following recipes. Time. KFC fried chicken – popularity of it is such that orders have to be made as much as two months in advance. We like to embrace the Italian side of the family and make Italian pizzelle. It is a sweet, decorative wafer. It is even yummy as an edible ice cream sundae bowl or fresh fruit cup. We also have a tradition of making fruit cake. Of course, Christmas as we know it would not be the same without a gift…or two…or three. Although thought to be exclusive to Christmas, people used to look forward to getting gifts for New Year’s Day. The kids were shocked to find that the Christmas holiday was controversial. It was not as widely accepted as it is now. Because it was not a holiday that the Church wanted to be connected with. Now, among Christian and Secular families, Christmas is widely celebrated. So, as we prepare ourselves to celebrate the First Day of Christmas, we start each morning with a reading and a prayer. It reminds us that no matter how rocky the origins of the holiday season, we can be focused on the purpose. Our traditions also help us do that. To focus. The adults usually celebrate this more than the kids. But, if they happen to stay up, I allow them to make just as much noise as the loudest adult in celebration. It is just as much an important part of the history of Christmas as December 25th. 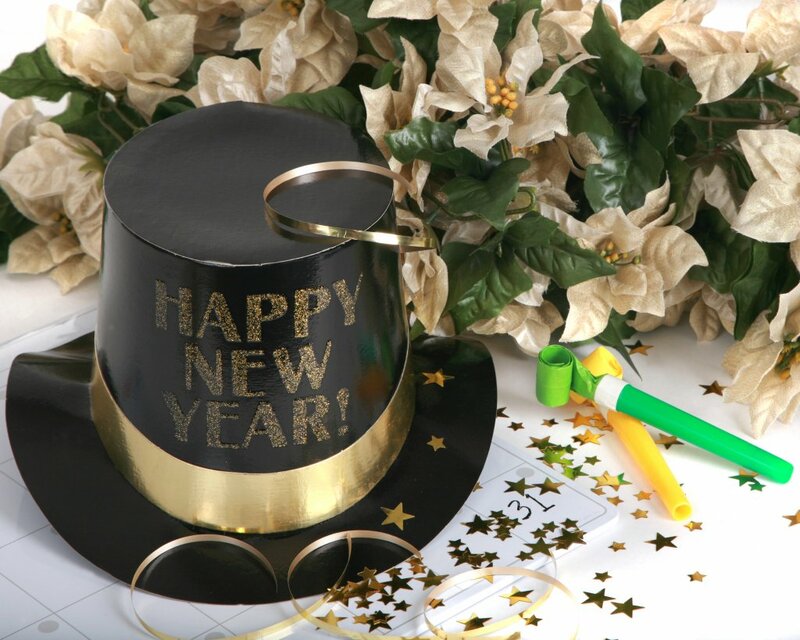 Mesopotamia (Iraq) started the concept of celebrating the New Year in 2000 BC. March 1 was the new year in the early Roman calendar. The month of January did not exist until about 700 BC. Romans celebrated by offering sacrifices to Janus, exchanging gifts with one another, decorating their homes with laurel branches and attending raucous parties (Mardi Gras, again). Chinese New Year – celebrated in many countries around the world. Falls between January 20 and February 20. Japanese New Year – celebrated on January 1 because the Gregorian calendar is now used instead of the Chinese calendar. Korean New Year – the first day of the lunar calendar. Also, celebrate solar New Year on January 1. Rosh Hashanah or Jewish New Year – celebrated by Jews in Israel and throughout the world. Always falls during September or October. The civil new year is celebrated December 31/January 1. In this part of the Christmas homeschool study, we have the opportunity to point out that – even though the next year is filled with uncertainty – we can always look at it with hope. And we give the kids an excuse to celebrate hope with other nationalities around the world. Not all families celebrate Epiphany as part of their Christmas tradition. After we enjoy our meal to celebrate Epiphany, we take the rest of the day to bring down and pack all decorations. The day after Christmas Day is when we pull down the stockings. The kids choose a gift from the stocking each day for the remaining days of Christmas. This lasts until the 12th Day. At which point, our Christmas homeschool study ends. I’m convinced that getting the decorations down and neatly put away is a bit easier than putting it on display. Hopefully, that will change this year as the kids begin to feel more connected to the traditions. And, just for additional trivia, I may talk about the “season” in between Epiphany and Lent. 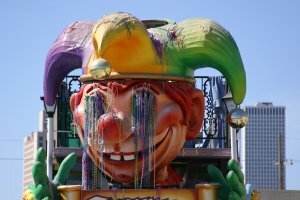 I also think I might do a personal study on Mardi Gras as we prepare for the Lenten season. What family holiday traditions do you have? 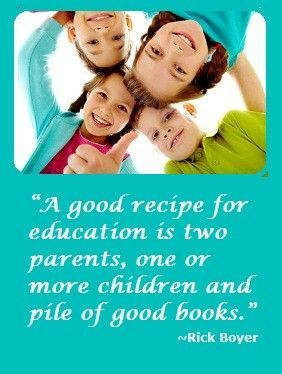 Would they make a good homeschool study?